From a village guesthouse to a complete hospital, Griffiths Security can supply a master key system to suit the most exacting requirements. As suppliers of master key systems to hotels, universities, office buildings and schools we can design and create a master key system to suit any installation. 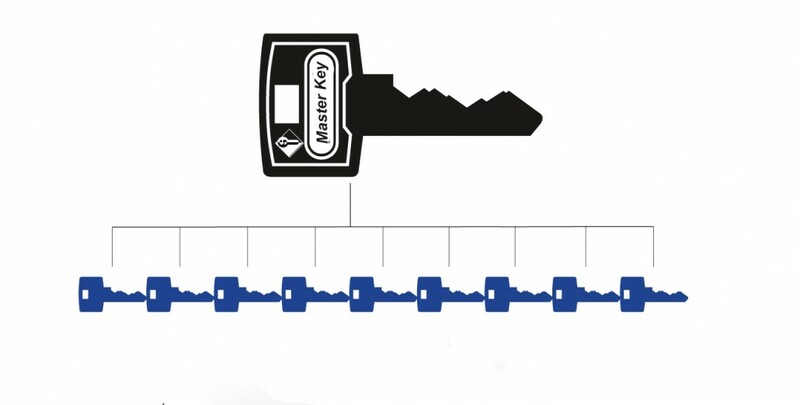 Using in-house production we can also provide a rapid turnaround on locks and keys. Because all cylinder assembly and key cutting is carried out in-house master key systems can be built up over a period of time, as and when existing locks need replacing, reducing the initial outlay and spreading capital expenditure over several months or even years. With locks and cylinders available from most major manufacturers, added together with electronic keys for those extra high security applications, we can tailor-make a system to meet any specification. 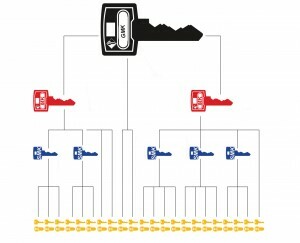 Traditionally keys from master key systems have been protected against unauthorised duplication by copyright. However with the change in the law regarding copyright protection older key systems are no longer proof against rogue keys being produced. 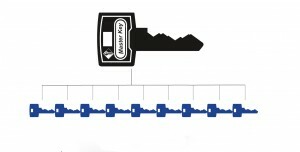 Key protection is now only offered by patented key systems. Griffiths Security can offer patented key systems to suit every application and budget from manufacturers such as Yale, Union, Mul-T-Lock, Abloy and Abus Pfaffenhain.